Abbott Laboratories (ABT) engages in the discovery, development, manufacture, and sale of health care products worldwide. This dividend champion has boosted distributions for 40 years in a row. The company’s last dividend increase was in February 2012 when the Board of Directors approved a 6.30% increase to 51 cents/share. The company’s peer group includes Johnson & Johnson (JNJ), Bristol Myers Squibb (BMY) and Merck (MRK). 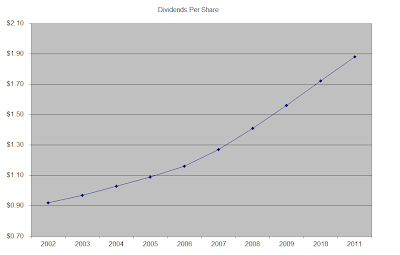 Over the past decade this dividend growth stock has delivered an annualized total return of 8.30% to its shareholders. The company has managed to deliver a 6% average increase in annual EPS since 2002. Analysts expect Abbott to earn $5.08 per share in 2012 and $5.27 per share in 2013. In comparison, the company earned $3.01/share in 2011. The growth would come from increase in sales in rheumatoid arthritis and psoriatic arthritis drug Humira and the Xience drug eluting stent. The company’s growth is also dependent on the successful integration of the pharmaceuticals unit that it purchased from Solvay for $6.2 billion in 2010, which included Abbott with the cholesterol drugs Tricor and Trilipix. New launches, and overseas market expansion should add in to Abbott's bottom line as well. Threats include generic competition to some of its cholesterol drugs. Abbott announced its intent to split in two companies in October 2011. The deal is expected to close by January 1, 2013. The first one will be a research-based pharmaceuticals company, named Abbvie, which will own Abbott’s premier drug names such as Humira, Lupron, Synagis to name a few. It would be basically a drug company, which focuses on keeping its pipeline of new drugs coming to the market, through constant investment in research and development. Drug companies have faced steep patent cliffs over the past several years, which has intensified mergers in the sector. The second company will be a diversified medical products company, and its name would remain Abbott. It would own established nutritional products, medical devices and diagnostics products as well as generic drugs outside of the US. The return on equity has remained above 20% over the past decade, with the exceptions of a brief decline in 2006. Rather than focus on absolute values for this indicator, I generally want to see at least a stable return on equity over time. 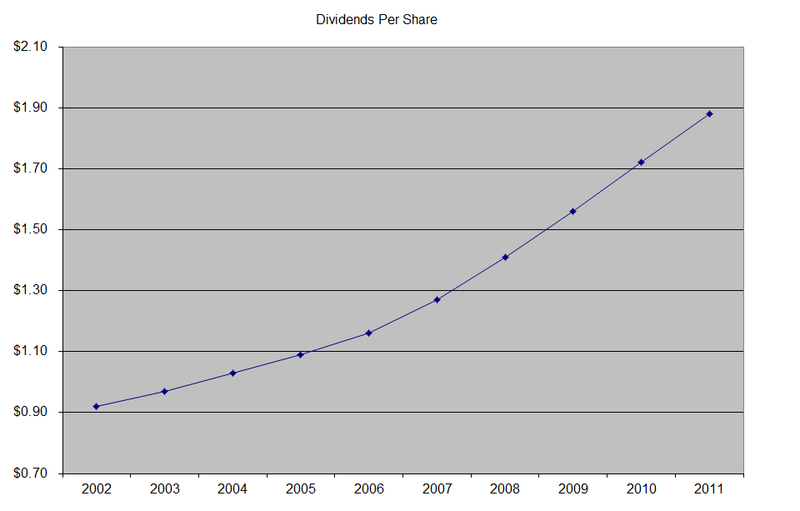 The annual dividend payment has increased by 8.70% per year over the past decade, which is higher than the growth in EPS. A 9% growth in distributions translates into the dividend payment doubling every eight years on average. If we look at historical data, going as far back as 1983, one would notice that the company had managed to double distributions every six years on average. 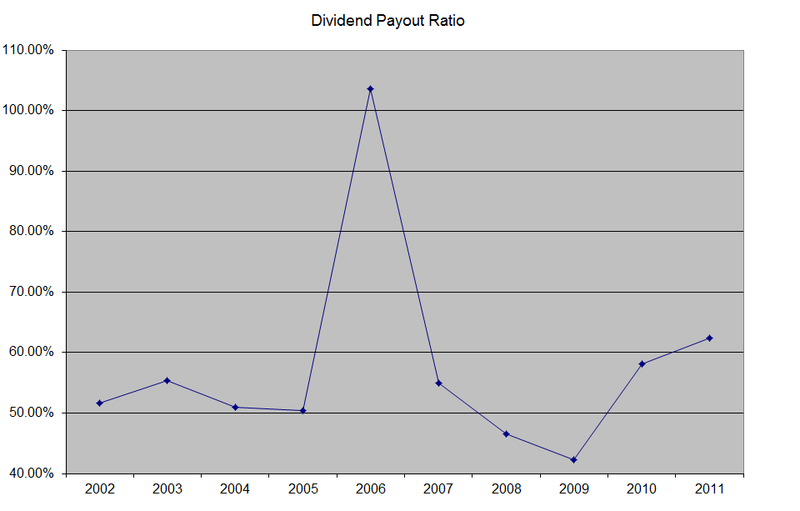 The dividend payout ratio has mostly remained above 50%, with the exception of a brief decline in the 2008 – 2009 period. 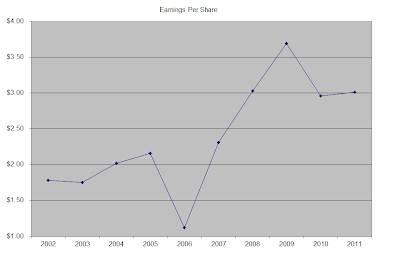 Based on forward earnings, the company’s dividend payout ratio will likely decrease below 50%. A lower payout is always a plus, since it leaves room for consistent dividend growth minimizing the impact of short-term fluctuations in earnings. Currently Abbott is attractively valued at 15.90 times earnings, yields 3.20% and has a sustainable distribution. I recently added to my position in the stock.